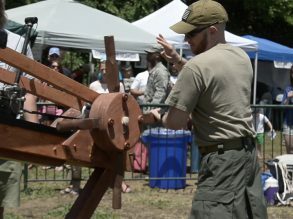 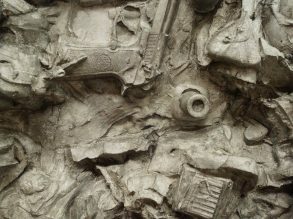 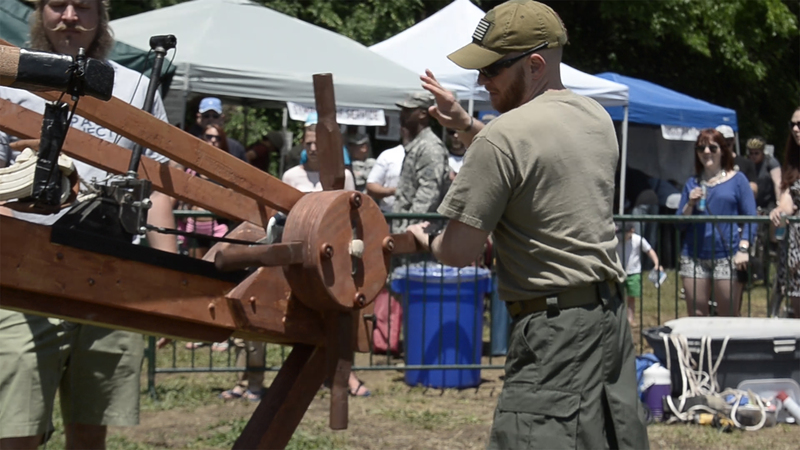 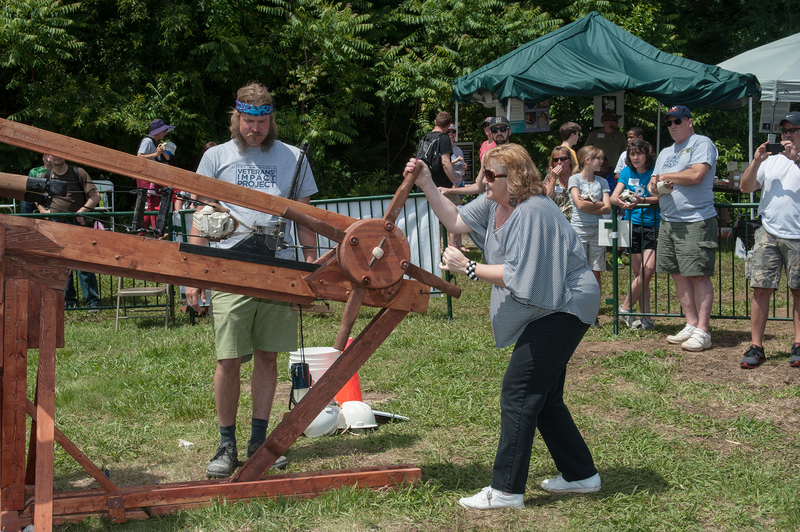 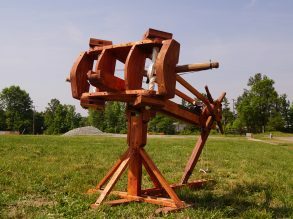 In what is believed to be America’s first crowd-sourced monument, The Veterans’ Impact project in collaboration with artist James Robertson, honored over 170 veterans through a participatory process where community memebers and veterans operated a custom built Roman Ballista to fire symbols of millitary service into a 3000lb wall of clay. 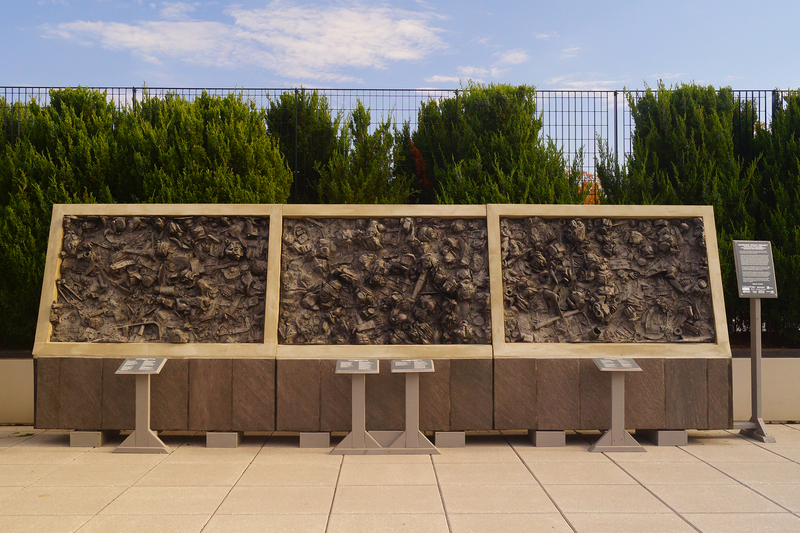 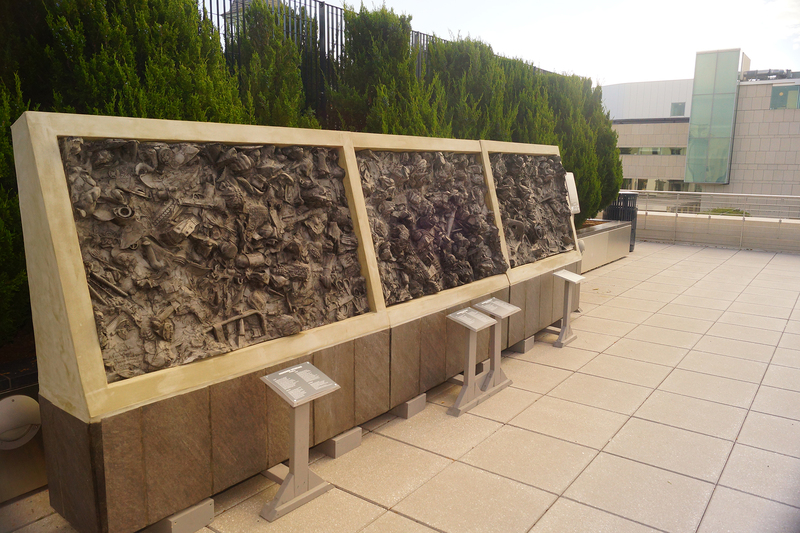 Those impressions were cast on site to create this monument to all veterans. 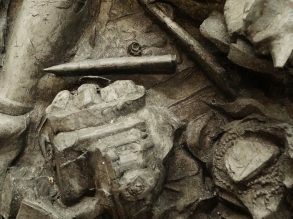 We surveyed many groups of veterans to to identify symbols of their military service then sought out to collect as many objects that represent these symbols. 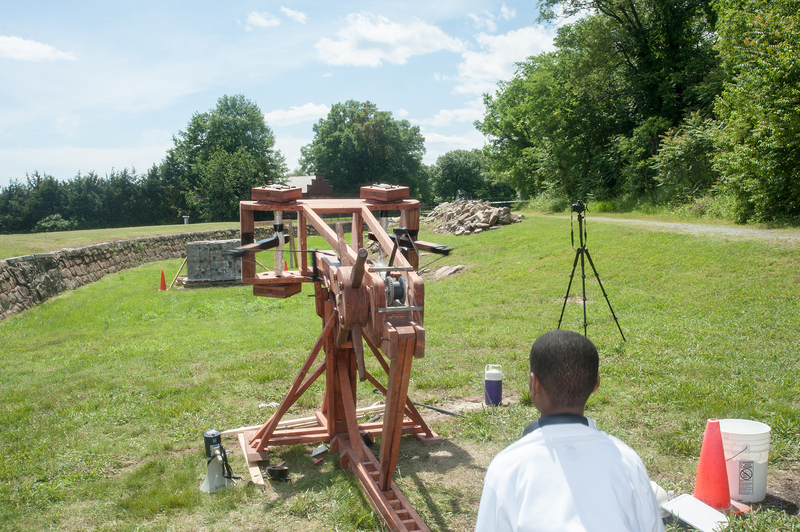 In order to make a reusable projectiles that can be fired over and over from a ballista we made castings of these objects. 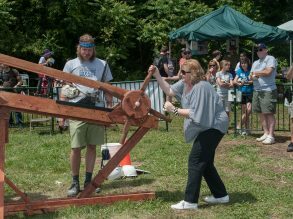 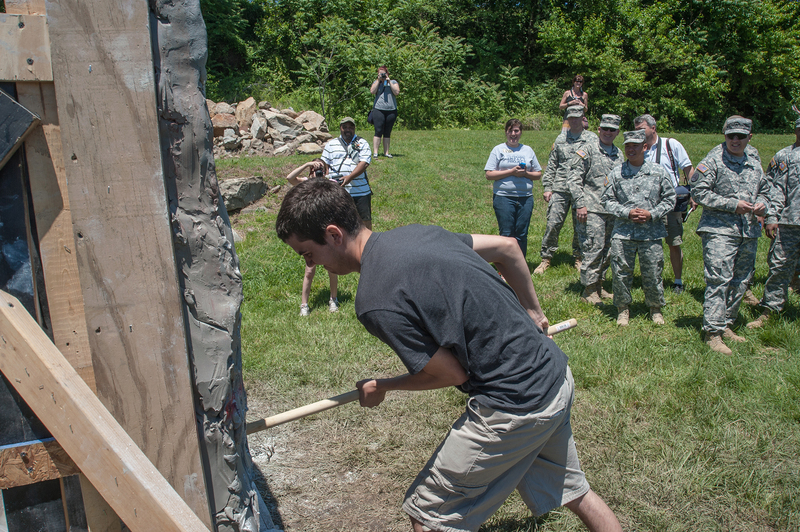 We had community days where we invited veterans to bring in their own personall objects to be casted into projectiles. 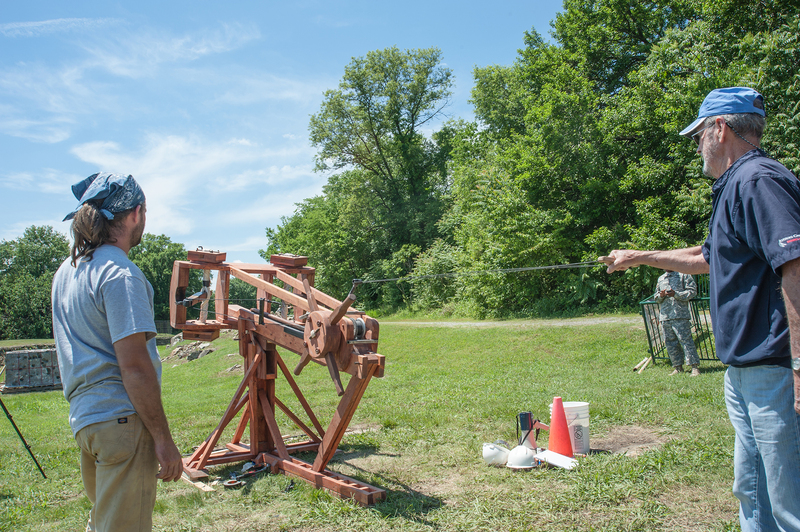 To launch these projectiles we set out to build a Ballista. 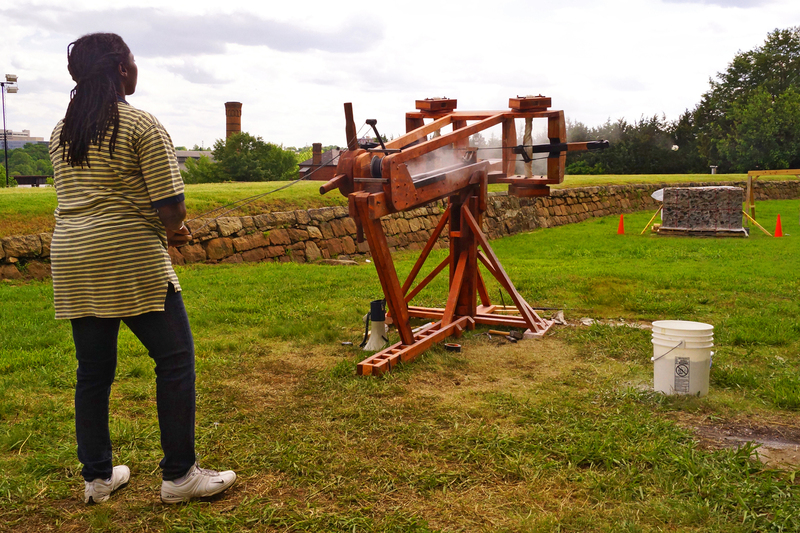 After months of trial and error, we hade the mechanics of it worked out. 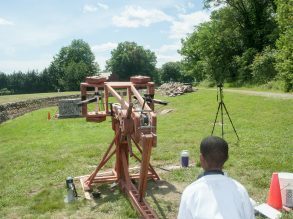 Then after more tests realized there were a few more parts that need reworking until we could successfully and consistantly hit a large target 100 ft. away. 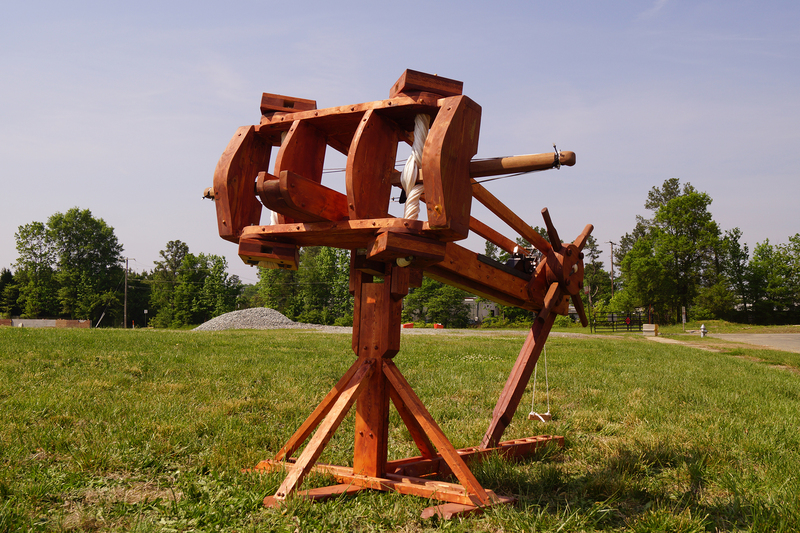 You can watch a video about the making of the ballista here. 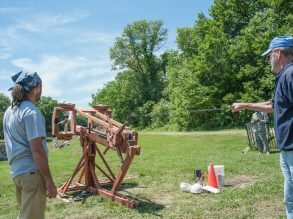 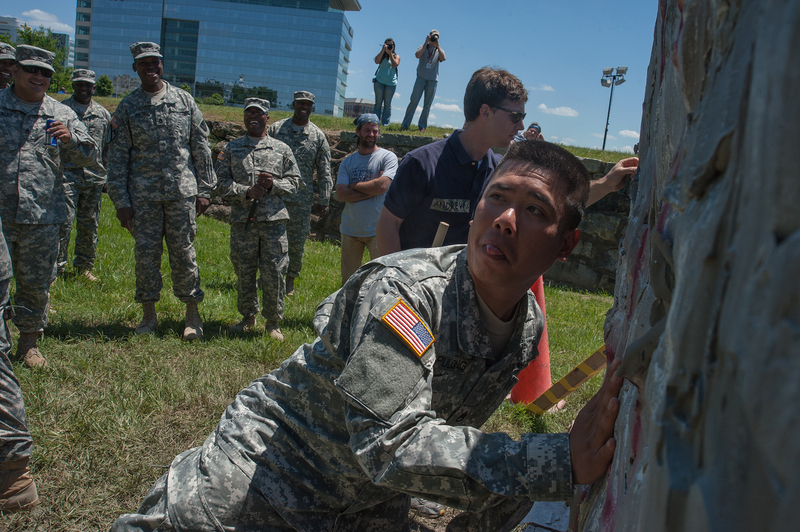 During the event we invited community members and veteran’s to honor themselves or a loved one by selecting an object to represent their service and launch it 100 ft into the air smashing into our 3000lb wall of clay. 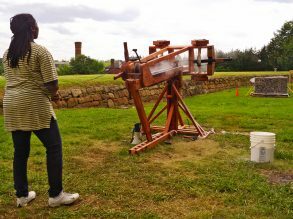 To represent larger objects there were not able to be launched from the ballista, we had “infantry divissions” get up close to the wall and smash it into the clay by hand. 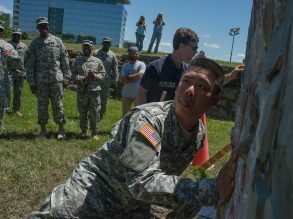 Over the course of two days 170 veterans were honored represent all US conflicts dating back to WWI. 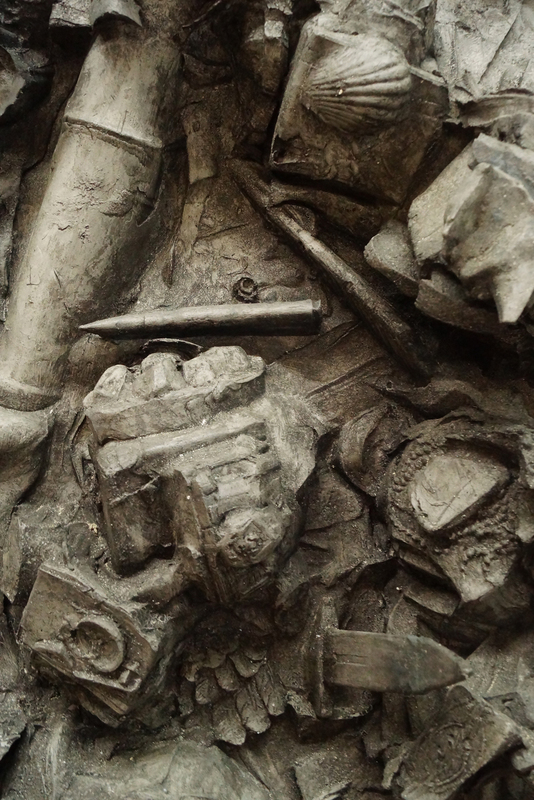 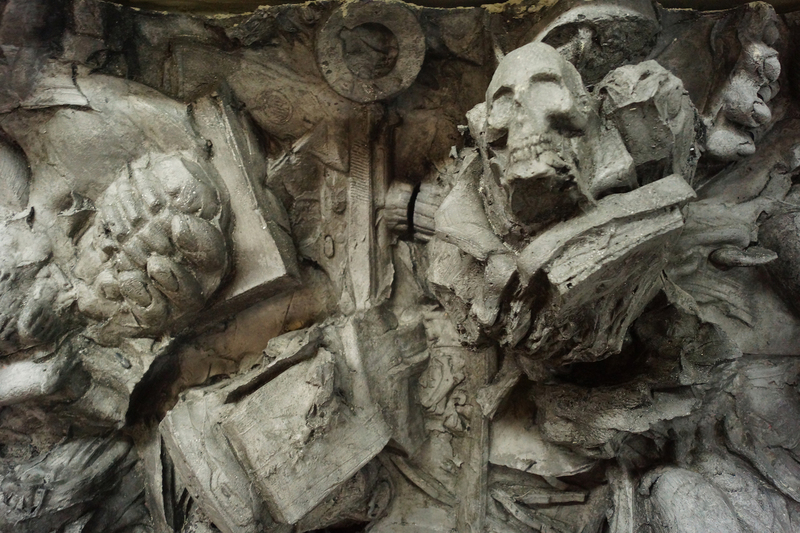 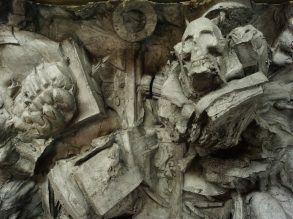 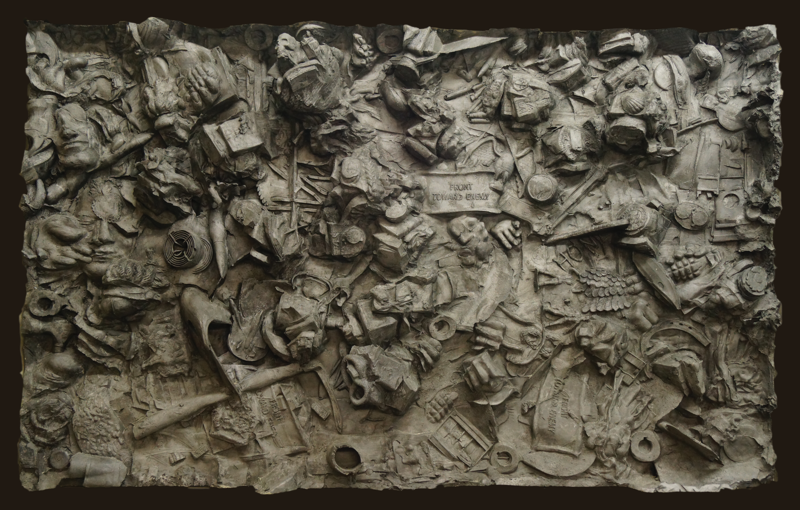 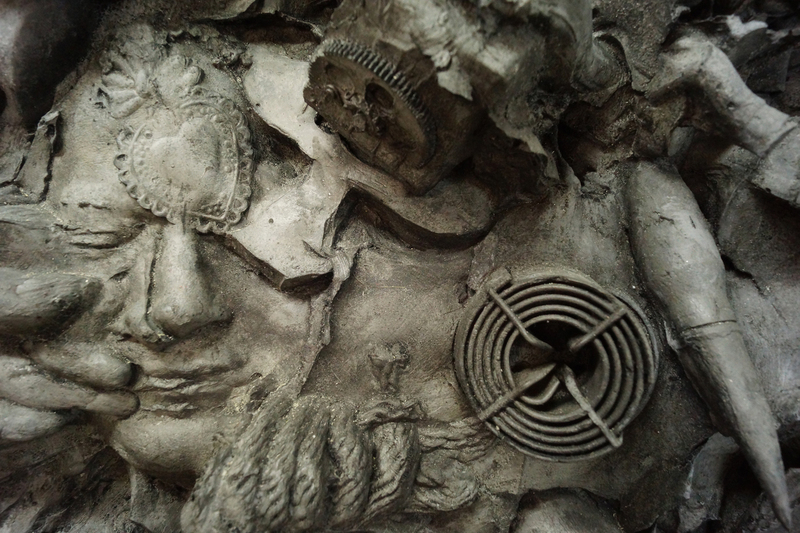 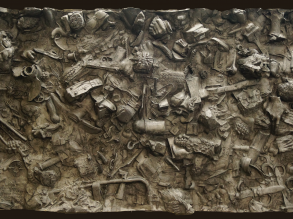 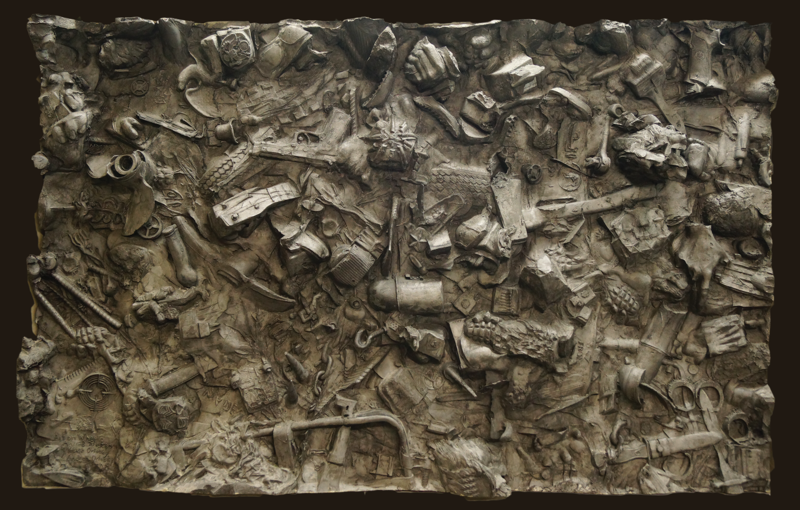 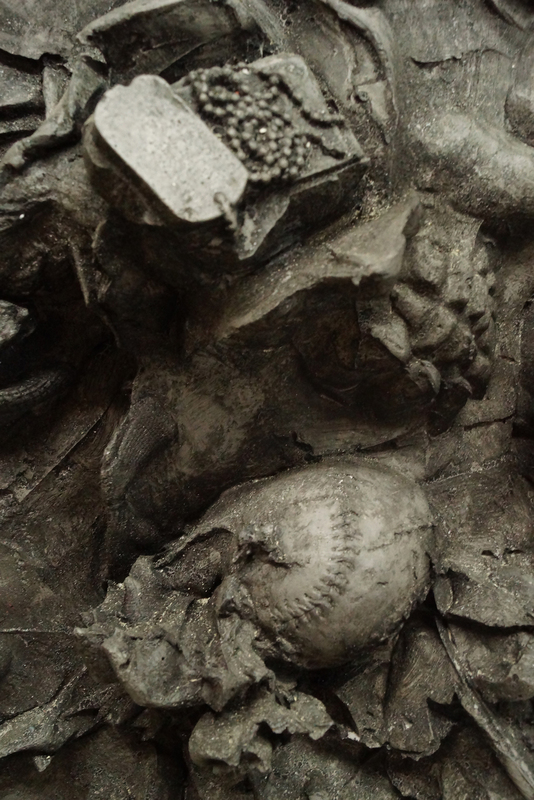 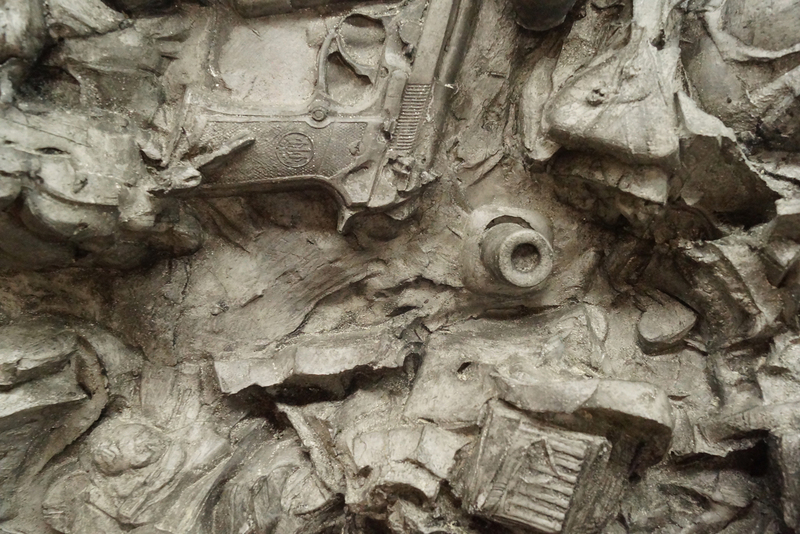 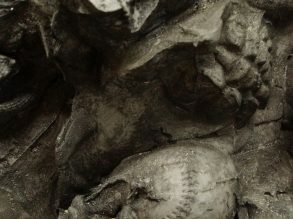 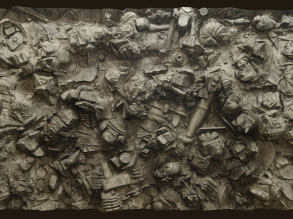 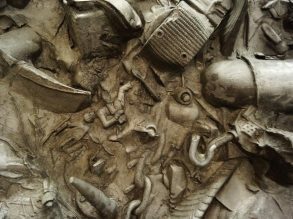 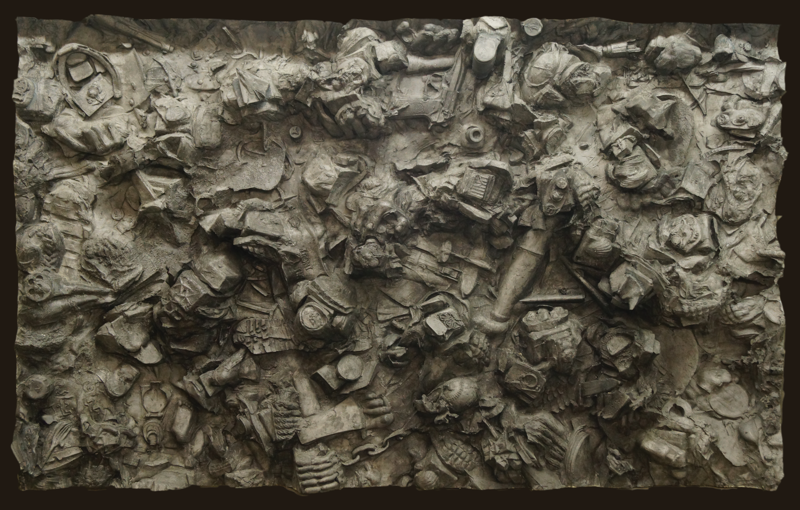 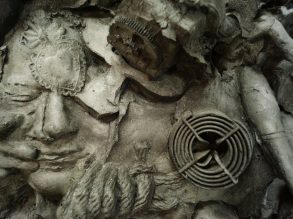 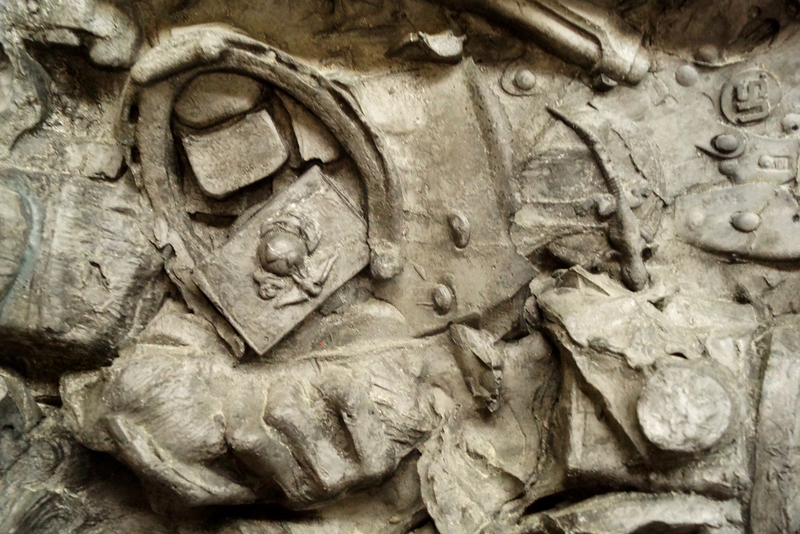 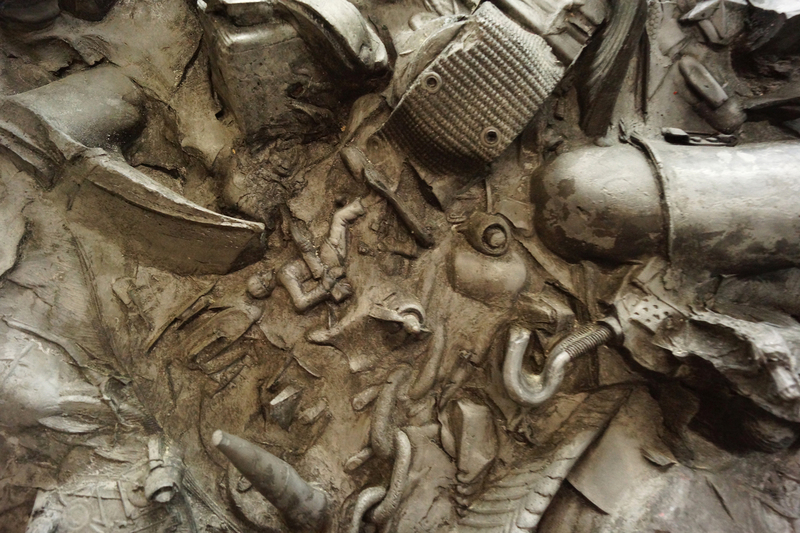 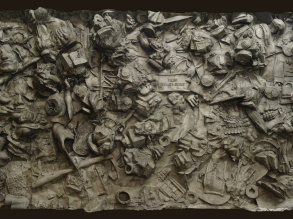 To cast the sculpture we cut the clay wall into three parts, built a mold around it and cast it using Forton MG. 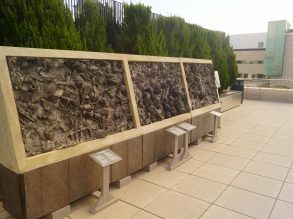 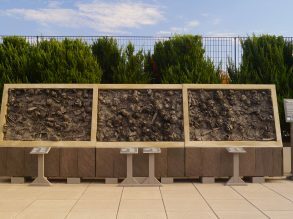 The Veterans’ Impact Project monument has been exhibited at the Virginia Museum of Fine Arts and the Virginia War Memorial. 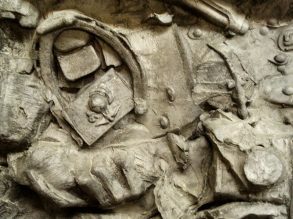 It is planned to be permanantly installed at the Virginia War Memorial in late 2019.